Available Now! Order Online through our webstore or ask your friendly local game shop! Just when you thought you had this, that this boarding was like a walk in the park, suddenly you can feel something ominous approaching. Who, or what, could it be? Will it be friend or foe? 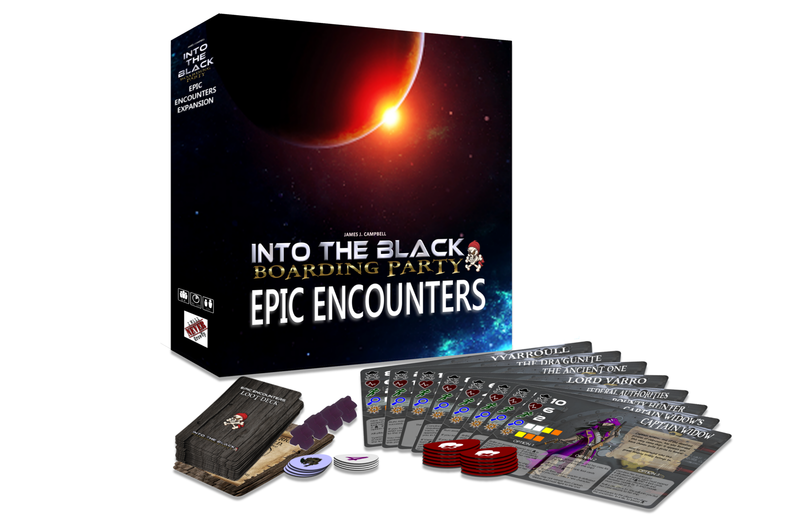 Find out with the Into the Black: Boarding Party EPIC ENCOUNTERS Expansion! Face fearsome enemies or earn their favour and loyalty. Collect epic loot to improve your chances of survival and fame. This is an expansion for Into the Black: Boarding Party. The base game is required for use. Visit us on BoardGameGeek.com to join in on the conversation!